I know a lot of you love giving gifts. I do to. But just so you know, The Rickey R-Word has just called game on your gift-giving skills. Game just got upped again. Today's installment of "At My Doorstep," is the five LP "Heady Nuggs" box set. 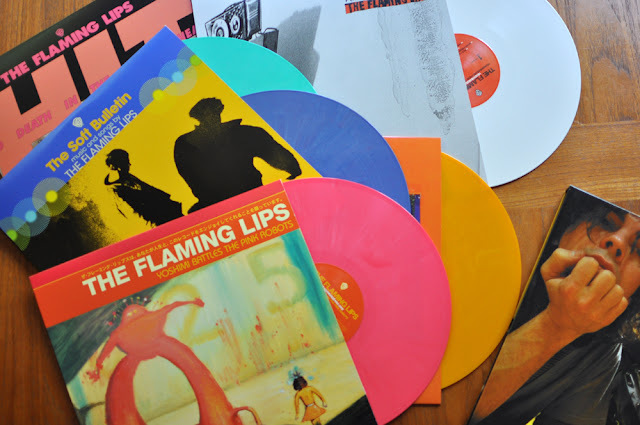 It's the Flaming Lips first five Warner records. In colored vinyl. With liner art and lyrics. So, if you're thinking of what to gift me, this might stand as the new benchmark. *When I die, Rickey gets all the vinyl and the turntable. This is a binding contract.